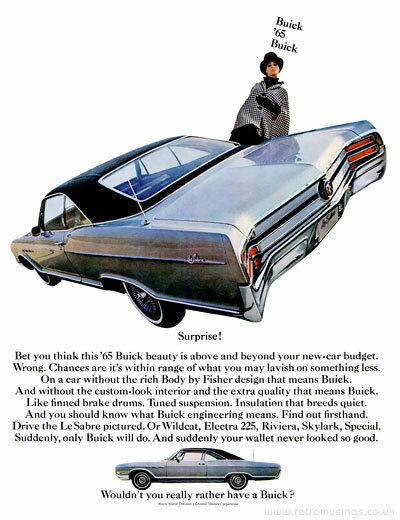 These ads for Buick cars are from 1964-65 and featured white background shots of individual cars taken at unusual angles to exaggerate the front or back of the car. 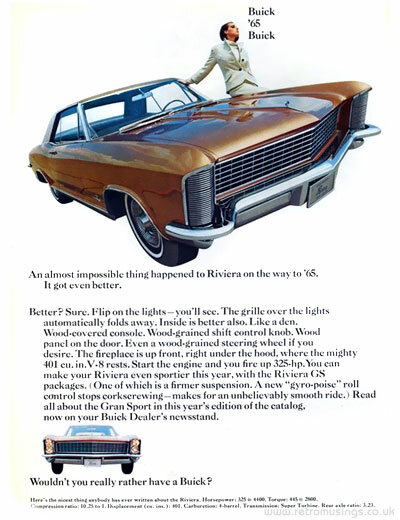 Most ads had someone posing next to the car, but not all. 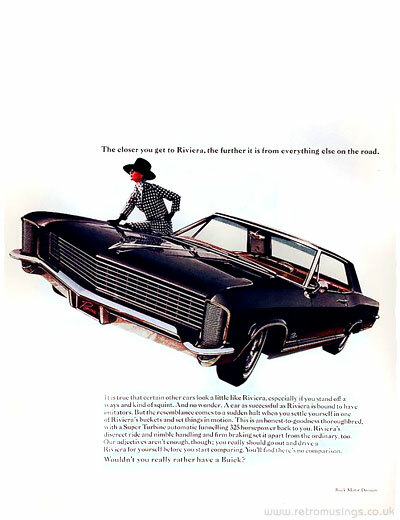 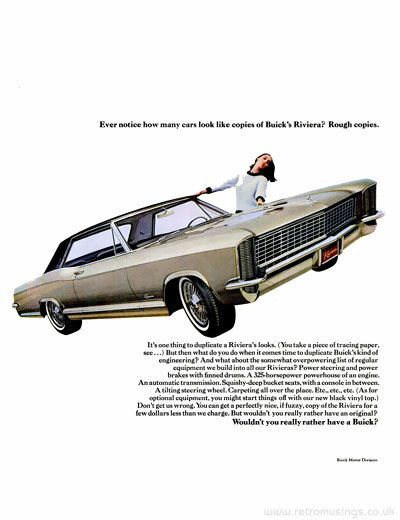 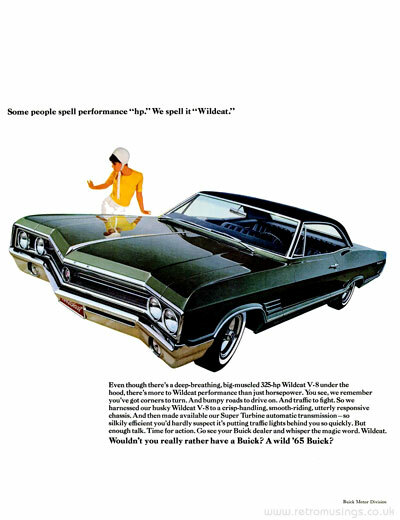 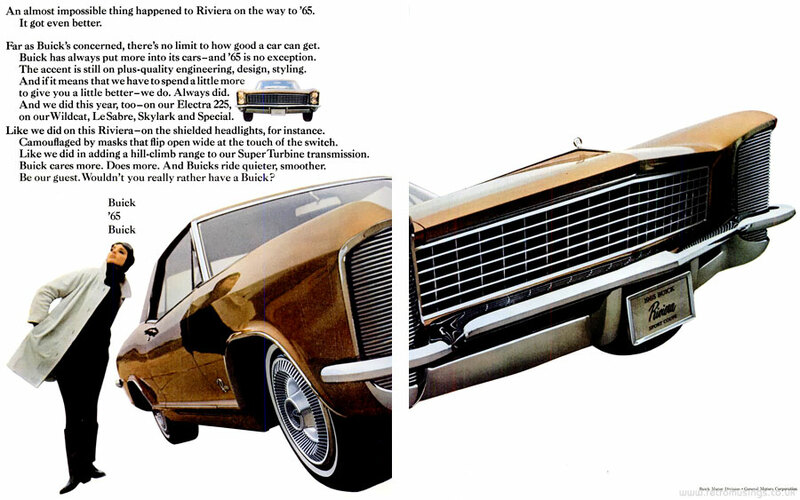 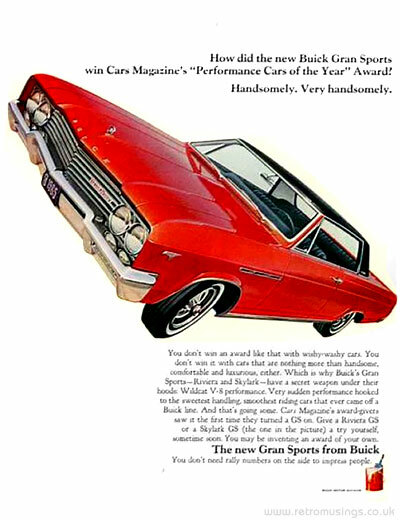 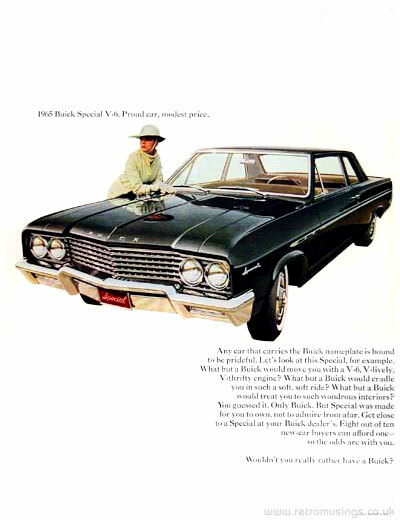 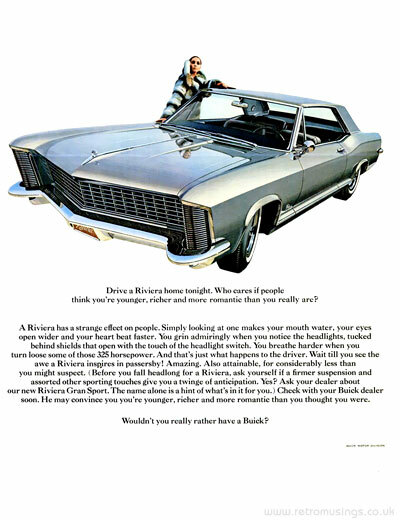 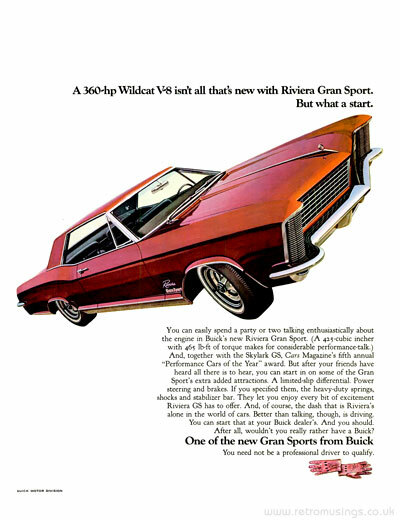 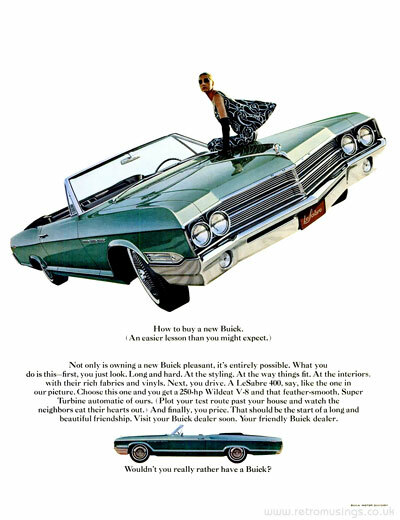 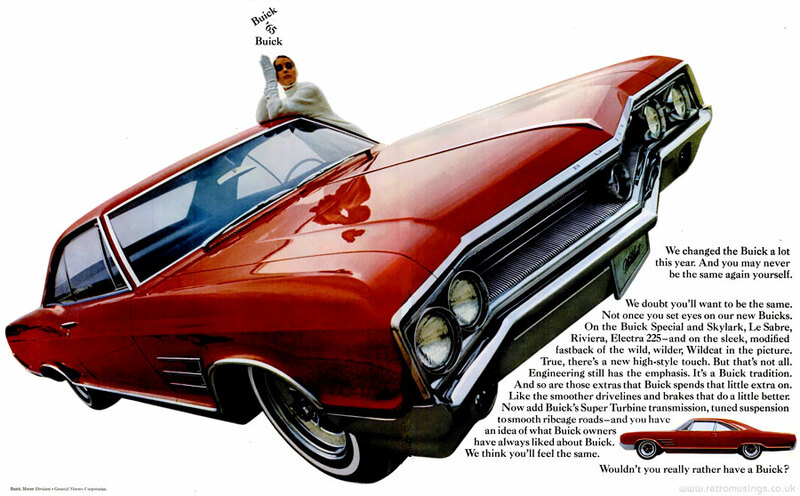 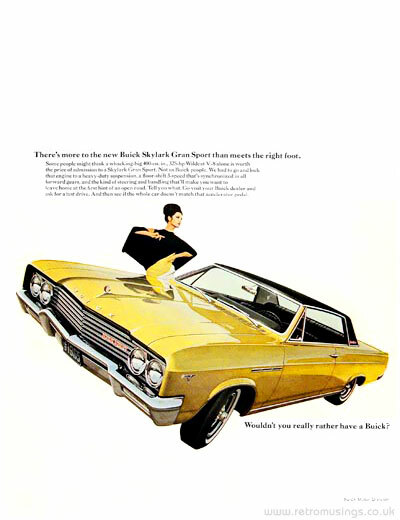 Models featured in this campaign were LeSabre, Riviera, Gran Sports Skylark, the Special, and Wildcat. 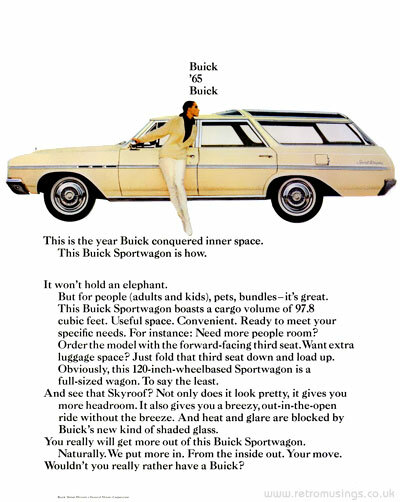 Buick was and still is a division of General Motors.